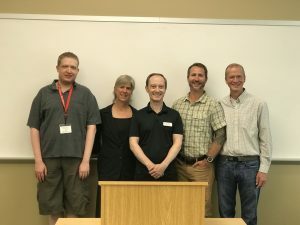 This was my second year as a member of the graduate creative writing faculty at Western State Colorado University, in Gunnison, Colorado. I was first hired in 2016 by my Harvard classmate David Rothman, head of the program and of the poetry concentration, to teach a summer intensive on presentation skills to second-year grad student poets. 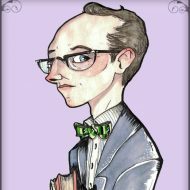 Once I got there and the genre novelists heard about the work I was doing, they asked me for some sessions, as well. This year, we baked that into my teaching schedule. 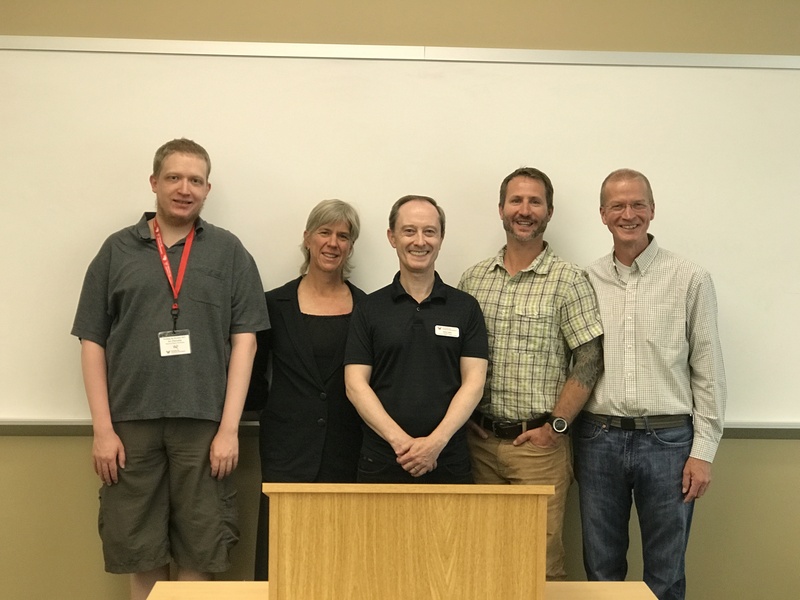 So I had four hour-long morning sessions with five delightful and talented genre fiction writers, all of whom were seeking coaching for their final pre-graduation presentations. 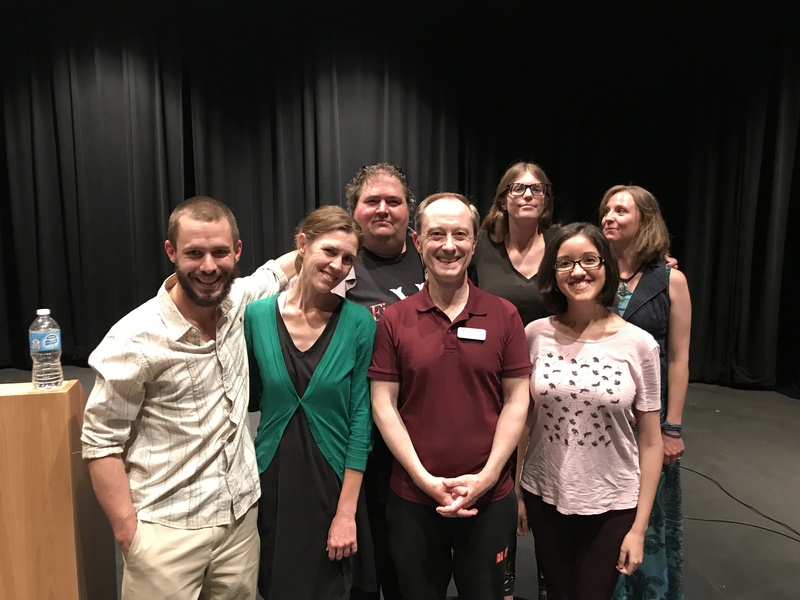 And in the afternoons, I taught my 8-session summer intensive “Poetry in Performance,” coaching three extremely talented and dedicated poets. This ph0to is of me with the 2017 graduating genre fiction novelists after their final presentations: from left, Kaleb Erickson, their wonderful writing instructor for this year, Candace Nadon, and Carla Mercado on my left. In the back: Vincent Harper, Marissa Harwood, and Ketura Barchers. Watch for me in “The Good Fight” on CBS All Access March 12th!